Whisk olive oil and milk to combine. Set aside. Combine all the dry ingredients and add in the wet ingredients to form a dough. 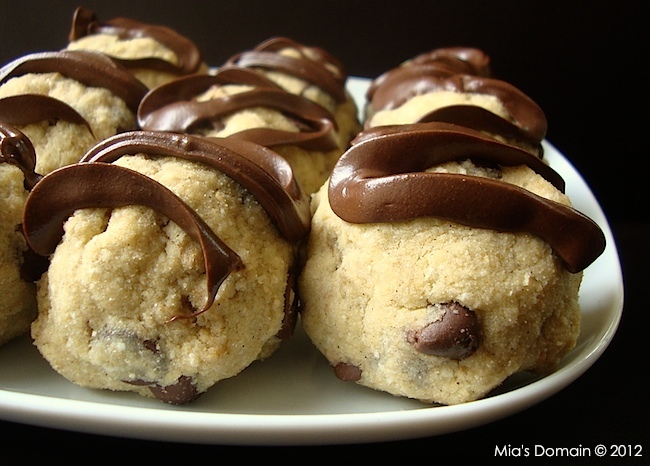 Use a tablespoon to scoop cookie dough onto the palm of your hand. Form into balls or flattened. Arrange in a single layer on the prepared cookie sheet and bake for 14 to 20 minutes or until cooked. I've heard that we are not supposed to bake with olive oil because it cannot withstand temps that high. Is that not true? Where do you buy xanthan gum? These are cookies you can feel good about eating!